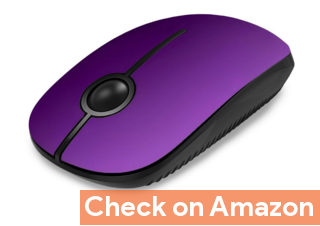 No matter whether you are a regular user, graphic designer, gamer or you just love to spend a quality time with your laptop, a dedicated cheap wireless mouse is more comfortable than to touch with the touchpad. It's also time saving and no doubt that works much more precisely than the touchpad. A regular mouse connects to computer or a laptop with use of cord. So there is chance to tangle up in the cord, to tear apart. Moreover it does not allow a person or better cannot provide enough freedom to work sitting at any place in the room. Minimizing the problems here it comes the wireless mouse which enables us to work smartly, also freely. A wireless mouse does not use any cord to connect to the host device, as it works via radio frequencies. Now if you are ready to buy a wireless mouse, you will get many choices. Some of them are very good but very expensive. And it creates dilemma which one to buy. Here in this list we are presenting some of the best yet cheap wireless mice. 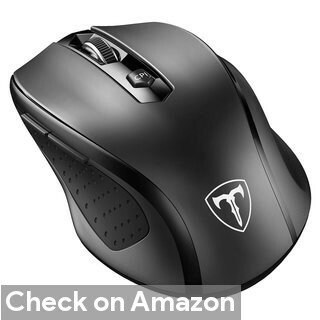 But before checking the list take a look at the qualities what make a cheap wireless mouse indefatigable, so that while checking the list you are fully aware of what you are buying. Working range - Check the working range to get to know up to how much you can work freely without getting disturbed. Click noise - some of the mice create unwanted noise while clicking. If you do not have problem with that then you do not have to check. But if you love to work in calmness and you may even get disturbed by click noise. You should check this too. DPI - Dots per inch enables you to adjust your mouse's sensitivity to a faster or slower pointer speed I.e to work precisely. Programmable switch - Many switches are there. On, off, dpi and others. Check it too. Battery life - Battery life is also very important. It makes us unpleasant to get stop our work at an unwanted time and that too because the battery is gone. There's may be another question about the connectivity, bluetooth mouse or propitiatory 2.4 GHz wireless link? There's an inbuilt bluetooth adapter on most laptops, so if you don't have a spare USB port, like on tablets, go with a bluetooth mouse. Bluetooth is also capable of handling multiple devices simultaneously. Like a mouse and bluetooth keyboard connect at the same time to a single bluetooth adapter. That multi device connection like bluetooth is also available with Logitech's Unifying receiver, however it bounds us to use only Logitech products. The market is literally flooded with various wireless mice. So, here's the idea of creating a list that helps the readers to pick up the right product without much confusion. Let's begin with this list of 8 cherry-picked cheap wireless mouse. This product from VicTsing with its mellifluous look, robust and ergonomic design takes the first position of this list. 2.4 GHz wireless technology. Reliable connection up to 10 m.
5 adjustable DPI levels of it enables user to work preciously. Grip is also fantastic, skin friendly and sweat resistant. Comes in different colors. 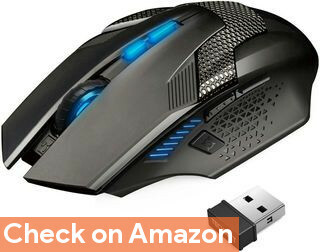 All this features make it a perfect mouse not only for daily use but also for a gamer. So if you want a good wireless mouse and don't want to regret this is for you. Buy it without any hesitation, you won't be dissatisfied after buying. I know it's not below $20, yet justifies the few extra bucks according to it's specs and performance. So, if your requirement is a accurate mouse and very high resolution sensor, this could be it. The G 305 got Logitech's so called HERO sensor, which in this case offer's up to 12000 DPI of resolution. Specs below. 2.4 GHz lightspeed connectivity, offers 1 ms response time. Netx generation HERO optical sensor, high accuracy and power efficiency. Up to 12000 DPI, adjustable by both hardware switches and software. Quite long battery life, around 520 hours as claimed by Logitech. I'd say my experience with this budget wireless mouse is quite pleasant. My second cordless mouse after a chaep product from TeckNet. So, if you're a Logitech fan and currently on a budget, I'd say probably there's no better option than this. The closest competitor is the G 603. Finally like all other Logitech products, it also offers 1 year warranty. Second wonder of the list is from Tecknet. The ultra sleek robust look, 8 programmable buttons, a lethal accuracy with 800- 4800 DPI, makes it ultimate weapon for every game lover. Some extra weight is also attached with it to improve gaming performance. So gamers go grab it and give a surprise to your opponent. Wireless range up to 10 m.
It can be used for normal purposes too. Also if you are crazy about looks of your accessories this is the option to choose. One thing to inform you it is made for right handed persons. 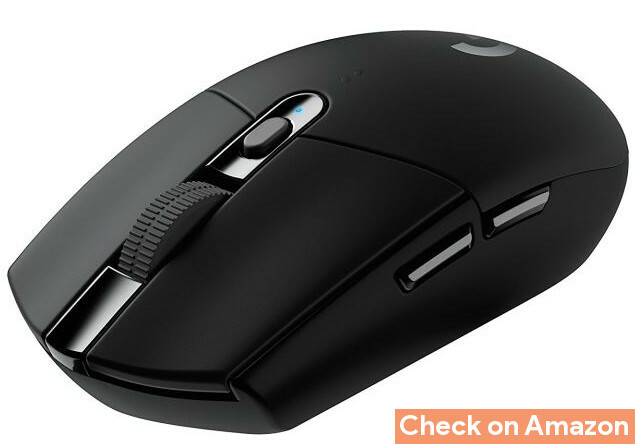 This product from Logitech is one of the best yet cheapest mouse available in the market. It comes with compact size. Ergonomically fantastic. Battery life is quite long, durability is good. Moreover the excellent grip enables user to work comfortably for long time. Working connection up to 10 m.
The only downside I can find is it's low DPI sensor. Certainly it's not the most suitable cheap wireless mouse for graphic designers and Photoshop lovers. 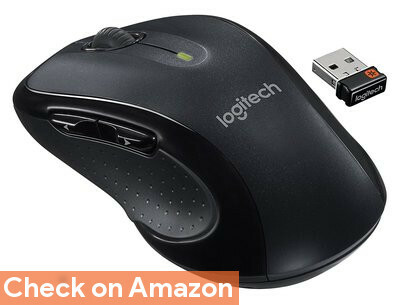 The Logitech's Unifying wireless receiver is a technological masterpiece, you can connect up to 6 Logitech wireless keyboard and mouse to a single adapter. Simply that means just one USB port is enough for all external keyboard and mouses. Logitech provides 1 year limited hardware warranty also. If you do not want to spend much money for wireless mouse yet want something with good quality for normal use or to play normal games it is one of the best options available. This product from Jelly Comb with it's elegant look, compact design, excellent surface finish takes the fourth position of this without any wonder. Sound sensitivity makes it enables to work on any surface. It comes in different eye catching colours. Black and purple is our favorite choice. If you are an artist or anyone who works with laptop or computer for long time and want some small size comfortable mouse with very less noise this is the option for you. 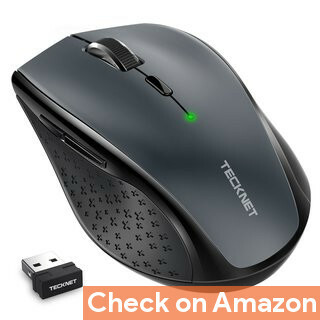 Once again Tecknet is in this list, and it is Pro 2.4G optical budget wireless mouse. It comes with fancy, sturdy design. With a 6 level adjustable 4800 DPI enables it to work with high precision. Smooth scrolling helps you to go long way with single scroll. One distinct advantage of this cheap wireless mouse is it's rubberized plastic build. Not too heavy, yet feels premium. This is an accessory to skyrocket your performance. You can buy to for daily high use. You can also play games without facing problems. 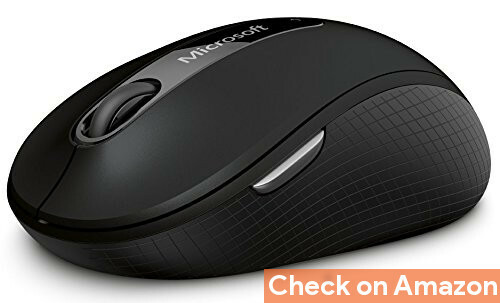 A cheap wireless mouse that just works from a reputable brand, Microsoft. Symmetric appearance makes it ergonomically fit for either right or left hand. Skin friendly coating maximizes comfort. There's at least three downside too. Relatively lower battery life, less range compared to others and the DPI is not adjustable. So, nothing fancy design here, just a plain mice with above average build quality and ability to work on any surface. And of course, there's a 3 year warranty comes with this mice. Last wonder of this list is from HP. 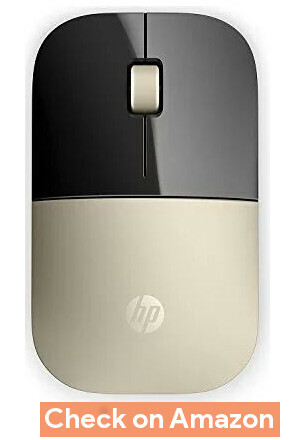 HP Z3700 wireless mouse comes with a smart, gorgeous, flat look and smooth surface finish. Smooth scrolling enables user to work without hindrance. Optical sensor helps it work on most surfaces.Battery life is also good. This product comes in many colors. Modern gold is our favorite choice. If you are an user with minimal usage and want an sophisticated look for your mouse this can be the choice. HP uses the blue LED for sensing, which enables a little better performance on various surfaces like wood, carpet and paper. If you've plugged the receiver on a USB 3.0 port, then the range and reliability may suffer, depends on specific hardware. USB 3 signals causes significant RF interference in the 2.4 GHz range. So if the signal from the mouse is weak, then it's bound to cause lag and connection drops. The list of cheap wireless mouse is over. All of above comes in cheap price without compromising performance, comfortability or look. We think, hopefully you have chosen the right one that suits you based on your requirements and budget. We have made this list checking after hundreds of products available on market. You should've included HP x3500. quite a cheap wireless mouse, under the range you've chosen. Anyway thanks for the list.